The first step you have already given, you have decided that you want to celebrate a civil wedding, but … do you have several doubts about this type of ceremony? We help you solve them! As a rule, civil ceremonies have no legal validity, you will have to formalize your marriage previously, but it will be a special moment that you will remember forever. 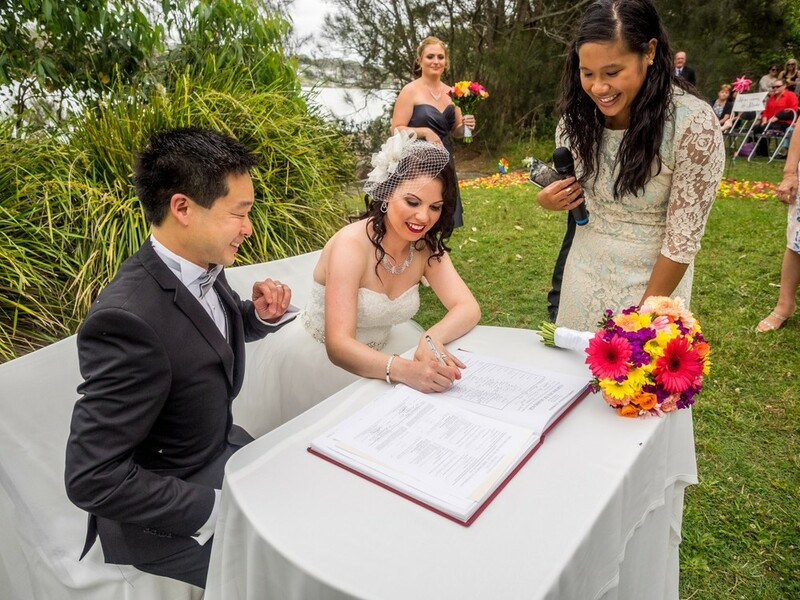 The advantage of this type of ceremony is that you can create your own script, based on certain steps. Ideally, tickets are made to the ceremony, the background music is heard, speeches are made and the votes are said. In what order? This is the guide that we recommend! With whom do the couple enter? Tradition dictates that between, first, the groom ‘s arm godmother, and then the bride’s arm Godfather. The advantage is that at civil weddings there is nothing written and you can innovate. For example, in case you have bridesmaids, they would arrive just before the bride. Civil weddings are distinguished by the personalization of every detail, and in this, music has a lot to do with it. The music with which you have to make your entrance is chosen by you. In civil ceremonies, the election is free, so you can even hire a band or a soloist who, at times, performs songs and, at other times, chooses only the melody. Look for a master of ceremonies, or a family member or friend. We recommend that you be a professional who assures you of the success of the ceremony. You must present to the couple and tell a summary of the love story, a story that makes an entertaining speech, how they fell in love or how was the betrothal. The master of ceremonies can also read some text or poem that the couple has asked for. The idea is to do it in a close and familiar tone, even, fun. To make such decisions, it is best poss with him to meet you and decide how will the wedding, which gives you confidence and you enjoy your work. You can ask him to show you videos of other weddings he has officiated. So you will be sure that you are doing the right thing. After that, it is time for speeches prepared by family or friends. The normal thing is to take it written so that nothing can go wrong. Agree with the master of ceremonies and your friends the tone that the speeches should take so that they resemble each other and follow the line of the ceremony. The ideal duration of each speech, in case there are several, should be between 5 and 7 minutes. If there is only one, there is a possibility that it is more extensive, not exceeding 10-15 minutes to be dynamic. After the speeches, it is time for the vows of the couple. Normally, the bride and groom usually personalize their vows, so that it is original and emotional. It is the most anticipated moment for all, usually begins the bride and, when finished, places the ring to the groom. Afterward, it is the boyfriend’s turn, who does the same, reads his vows and places the ring to the bride. You can opt for some ritual to give personality to this moment, such as the candle ceremony or the sand ceremony. It will be a moment of the most original! Another option is that you opt for the traditional vows in which the teacher would ask you the question “Do you want to marry …?”. To end the ceremony and start with the cocktail or photo session, the master of ceremonies will encourage you to give them the expected kiss as a marriage and will wish you all the happiness of the world. 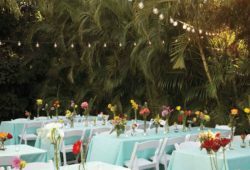 The idea is that you indicate, in addition, to make a nod to the guests thanking them that they have decided to accompany you on such a special day. After that, you will sign the minutes, both you and the witnesses. Normally, it has no legal validity, it will simply be a nice memory to keep. You will have to sign the document with legal validity before the wedding. Look for a song that represents your history, that tells how your relationship is, that it is part of an important moment in your life or, simply, that you identify with a moment full of happiness. That song will be the one that sounds while you walk to the wedding hall. And they throw you the traditional rice, confetti or whatever you have chosen.